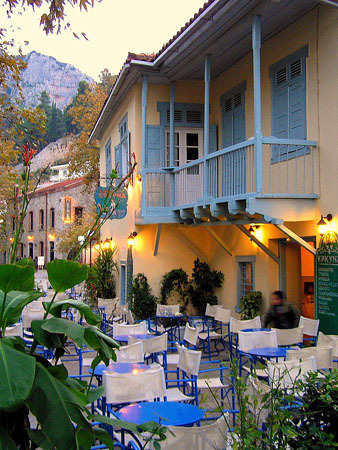 Livadia is the capital of Viotia Prefecture and has about 30,000 inhabitants. It is built at an altitude of 200 m, in the western part of the prefecture, at the edge of the plain of Kopaida and the small river Erkyna flows through it. 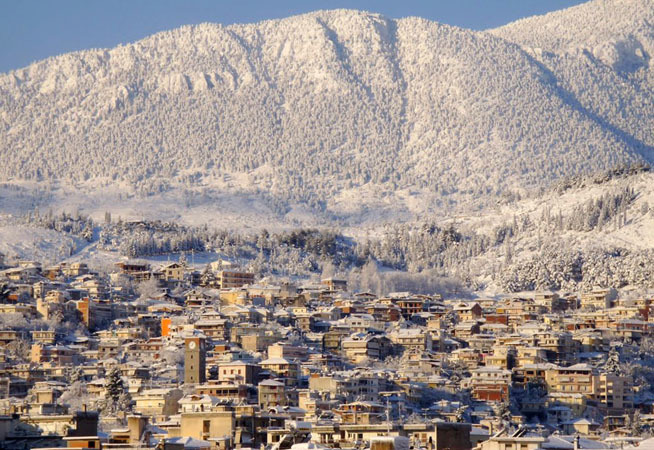 It is surrounded by mountains; Parnassos to the north of the city and Elikonas to the south. 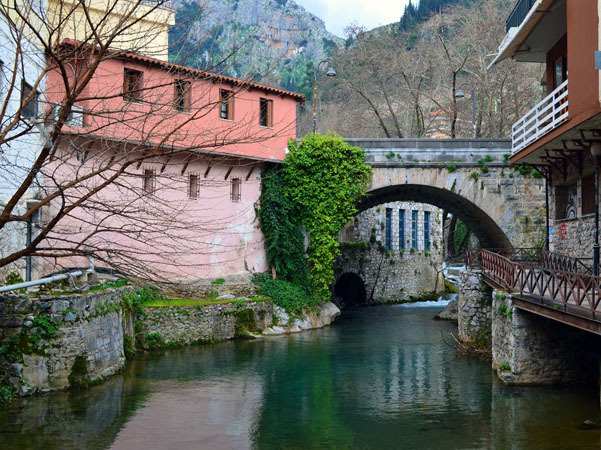 The old town of Livadia (Mideia) was built at the foot of the later. It is a unique,“properly” Greek city with a history and a mythology that became a source of inspiration for poets, painters and sculptors of all ages. In antiquity, Livadia was named Mideia, and it must have been well known, since Homer mentions it in the Iliad. The current name derives from the Athenian hero Levados who brought to the valley its residents, along with his wife Laoniki. 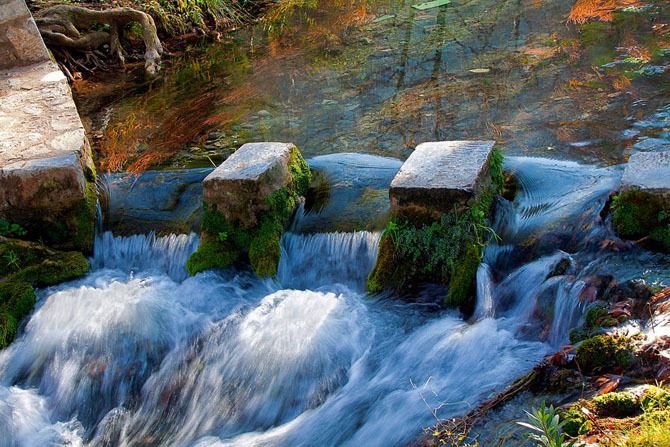 Livadia was famous for the ancient Trofonion oracle, where Croesus, Mardonius, Paul Emile and others used to go to get an oracle. Pausanias mentions all the above in his book about Viotia, in which he describes in detail the habits and religious events of this place. 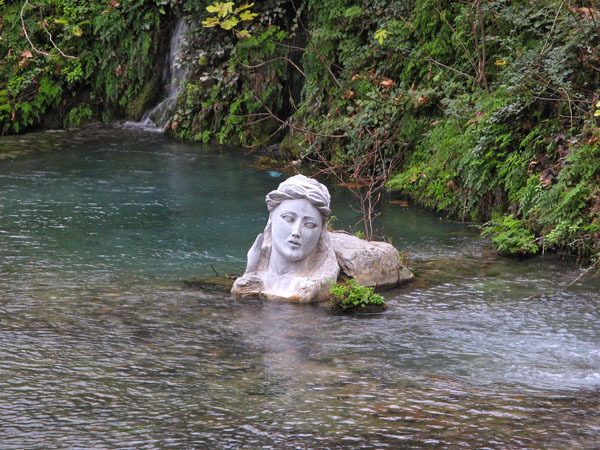 Livadia was one of the cities of the Viotian League in the 8th century BC. In 395 BC it was plundered by Lysander and in 86 BC by Mithridates. 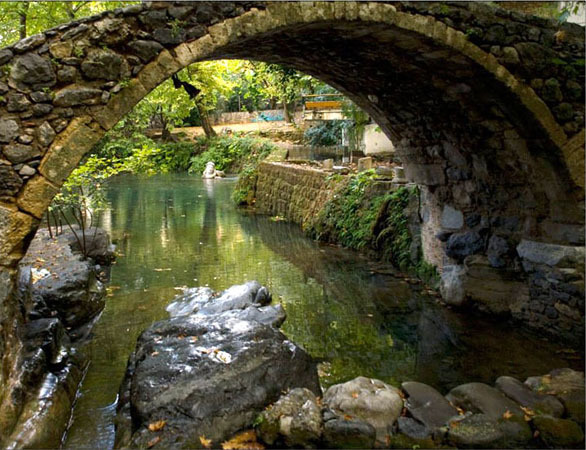 During the first centuries of the Byzantine period, the town of Livadia did not show any particular development. More specifically, the rural economy of the city faced serious problems because of the barbarian invasions of the 4th, early 5th and 7th century. 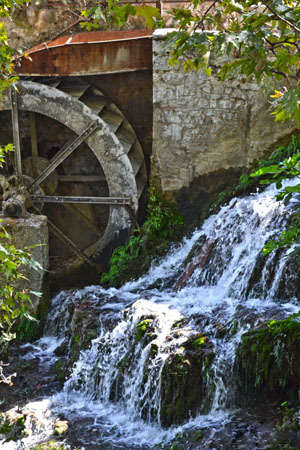 On the contrary, during the 9th century, the economy of Livadia grew remarkably and later, in the mid-12th century, the predatory incursions of the Normans weakened the sericulture and the silk industry of the region preventing commerce and having negative consequences on the economy of the city. After the defeat of the Franks by the Catalans in the so-called battle of the Cephissus (1311), the residents gave the castle of the town, the Castle of Livadia, to the winners in exchange for some privileges. 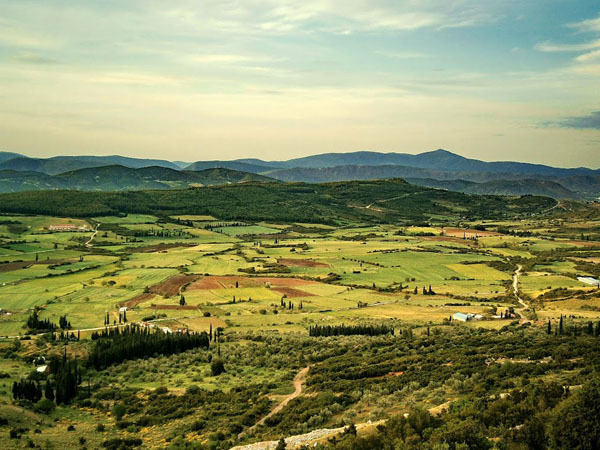 On the eve of the Greek War of Independence of 1821, Giaour Livadia (a Turkish ethnic slur for the non-Muslim), as it was called by the Turks due to its big Greek population, had indeed 10,000 Greek residents engaged in agriculture, commerce and industry. 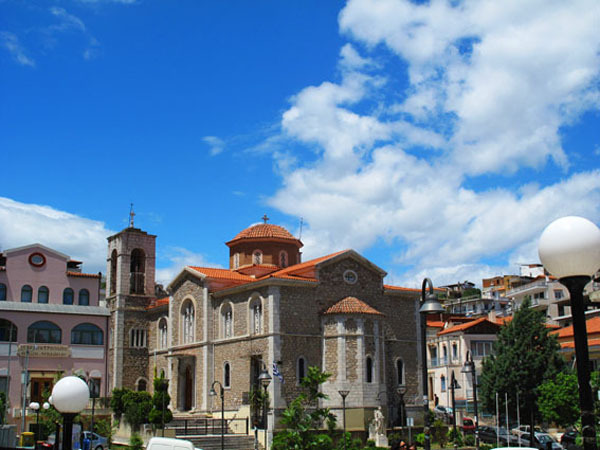 In 1820 the city was the base and the place of the first members of Filiki Etairia, a secret Greek organization acting against the Ottoman rule. Its leader, Athanasios Diakos, along with Vasilis Bousgos and the dignitaries Ioannis Logothetis, Ioannis Philonas and Lambros Nakos prepared the revolution. On the night of 28 to 29 of March, the rebels gathered at the hill of Prophitis Ilias. When the Turkish commander Hassan Agha rejected the proposal of Diakos to surrender, the attack began. On March 31, the Turks who had gathered inside the tower of Ora surrendered and on April 1, the bishops of Salona, Talantio and Athens blessed the revolutionary war flag of Diakos at the church of Agia Paraskevi. However, during the Revolution, the city was attacked repeatedly by the Turkish armies. During the military operations of 1828 under Demetrios Ypsilantis at the eastern region of Central Greece, the Turks of Livadia were besieged by the army of Vassos Mavrovouniotis and the irregular cavalry and on November 5, 1828 they surrendered. Another Turkish army under Mahmoud Pasha conquered Livadia once again, but was forced to leave on February 8, 1829. The city was reconstructed immediately. The residents who had found shelter in other areas returned. The school started receiving students again thanks to the Greek Governor Ioannis Kapodistrias and in 1841 the city was one of the most robust economic centers of the modern Greek state. Today it is a bustling provincial town, built amphitheatrically where you can enjoy a walk in its beautiful parks and along the river.